The story of the Annunciation tells of a young woman hearing a call from God. This both terrifies and excites her. Sustained by God, she accepts it. The Trust has an ethos based around this story which speaks both to our own condition and to the ministry to which we find ourselves called: a ministry outside the formal structure of the Christian church; a ministry of helping you discern your own calling from God, and to follow it. 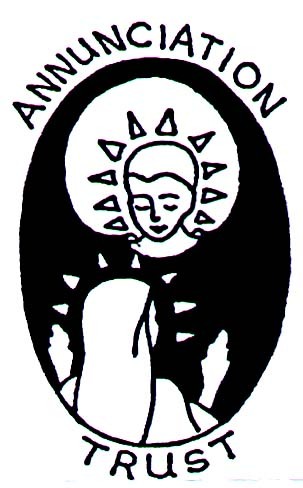 The Annunciation Trust was formed in 1993 and provides support for the ministries of a small number of people. A larger group meets regularly for encouragement and to explore lived spirituality. We are available individually or corporately for one-to-one spiritual direction, supervision, training days, spiritual direction consultations, holistic massage, quiet days, and retreats. ‘…builds upon our own experience of God’. The Trust has also supported the work of ‘Soul Space’ at the Greenbelt Christian Arts Festival and encouraged the development of Spirited Exchanges UK which supported those whose faith journey is outside the church. Prayer Cards used at Greenbelt and in the work of spirituality and spiritual direction of the members of the trust and others are available from this site.